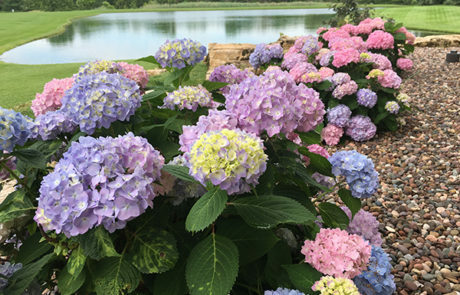 to get your landscape noticed! 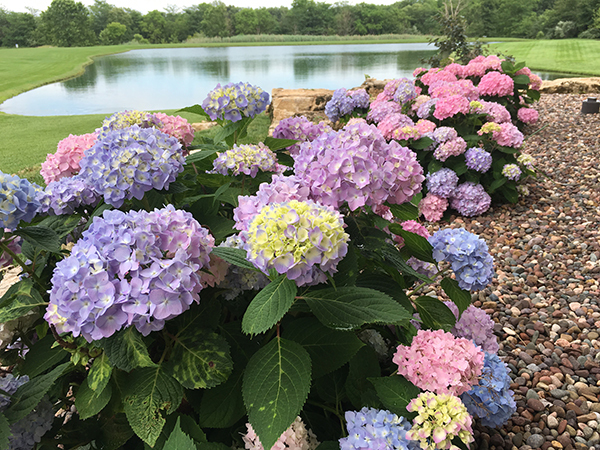 Each landscape we design at Lawn Perfection Inc. is a unique reflection of our client. 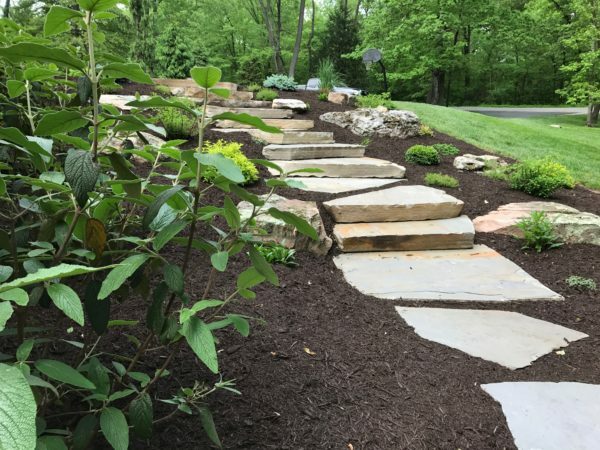 We work with our clients to understand their ideas for the property, then develop that vision into a beautiful landscape that will definitely make that perfect first impression. This is accomplished with an initial client/designer consultation, drawing of the design, and lastly, client approval. 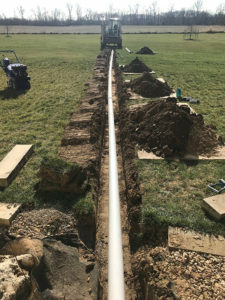 The installation is performed by our talented, professional crews in a timely manner. 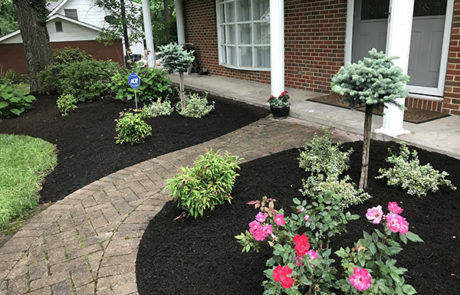 Lawn Perfection Inc.’s landscape installations range from a simple, single tree installation to comprehensive, total property transformations. 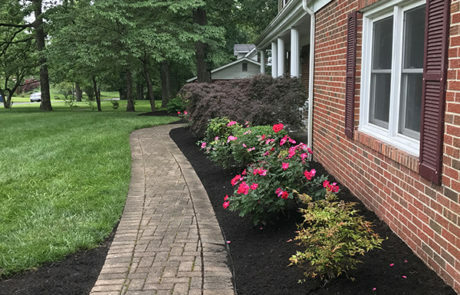 Organic Advantage – (Our most popular program) A five treatment program that uses 100% organic fertilizer rather than harsh and harmful chemicals found in other lawn programs, along with weed control products used at reduced rates. 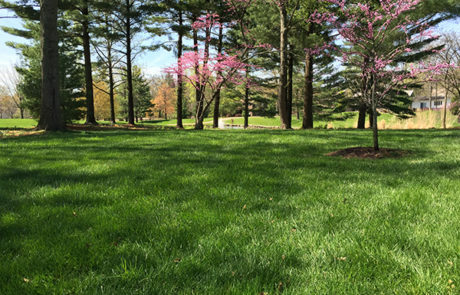 This results is an attractive lawn without a cost to the environment and your family or pet’s health. 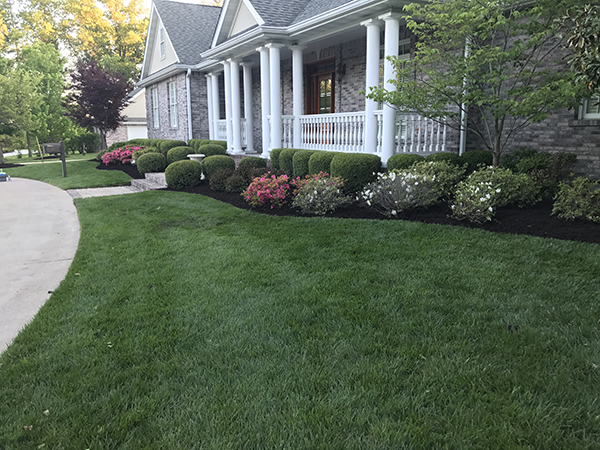 Premium Lawn Care – A five treatment program that uses a premium grade slow release fertilizer, along with quality weed control that produces excellent results. 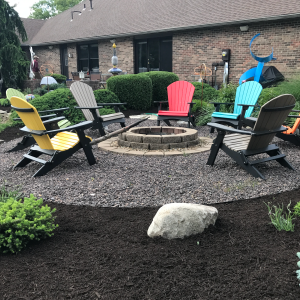 Call us today at 618.246.5100 to get a free estimate! 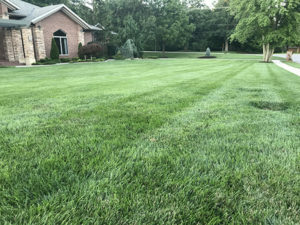 The grading of a lawn is often overlooked when considering what your lawn needs are, but there is nothing like an evenly graded lawn that drains well and is covered by plush green grass. 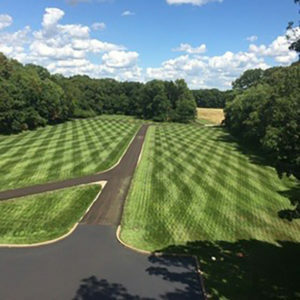 Whether you are starting from scratch, or your existing lawn just needs some extra care, we can handle the task for you. 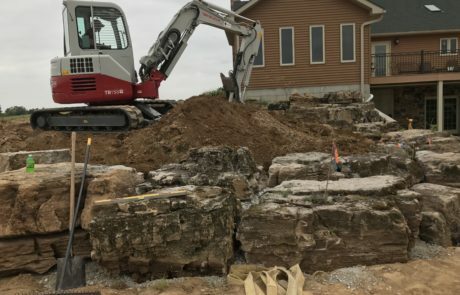 The first step in preparing your lawn for seed or sod Installation is grading. 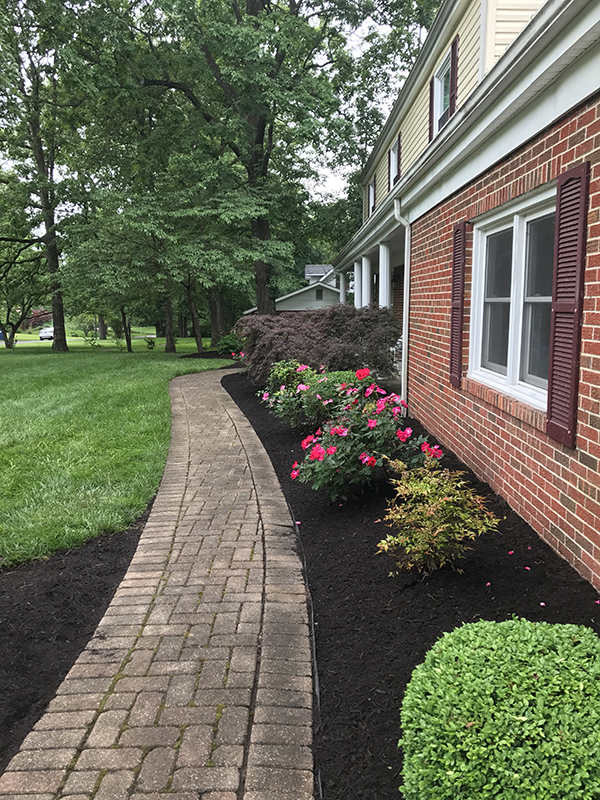 We will prepare the soil to ensure proper drainage and sloping of the lawn. 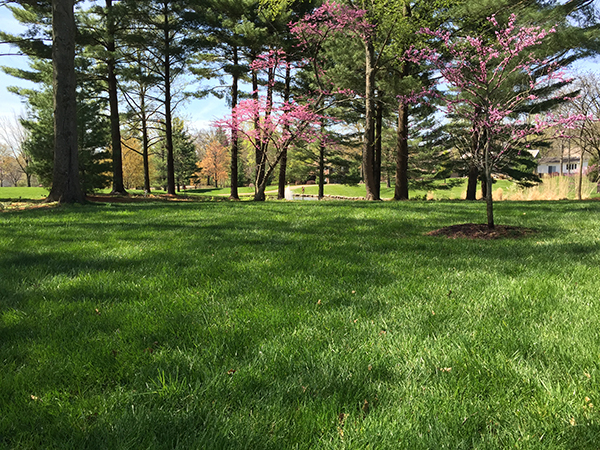 Seeding can be done on entire lawns or partial areas. After grading and preparing, the lawn is spread with seed and fertilizer, and covered with straw. 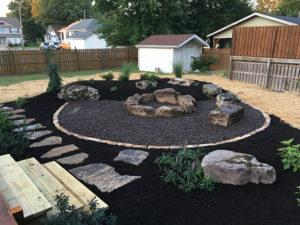 Sod Installation can be the best alternative when creating a new lawn. 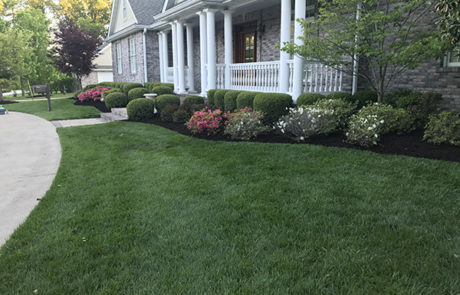 Sod is a professionally grown, mature grass with an established root system, which gives you immediate results. Whatever you choose, we have the right equipment and crew to handle the task for you! 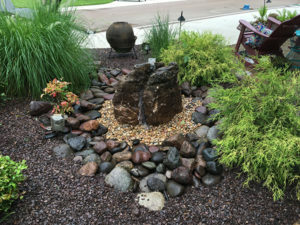 A new water feature, bubbling boulder or fountain is always a great addition to any outdoor living area. 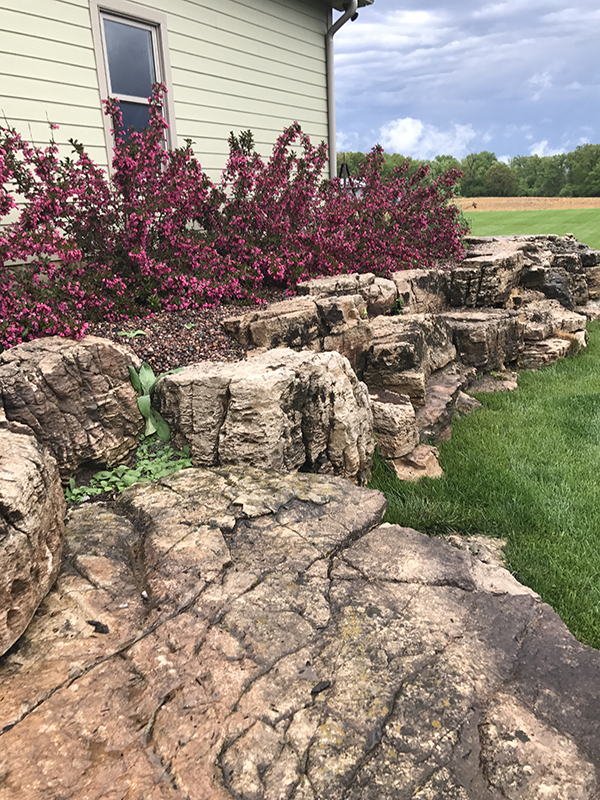 In addition to the beauty that a water feature brings to a landscape, the peaceful sound of running water will create the perfect back drop for relaxation. People are drawn to the campfire-like atmosphere, and before you know it, there will be story-telling and laughter. 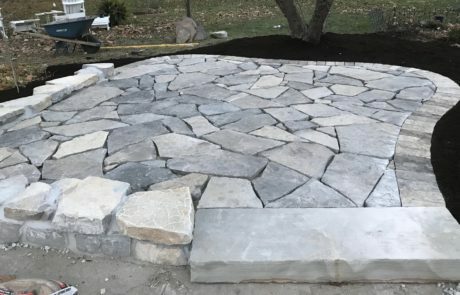 A fire pit can also serve as an important focal point in your outdoor landscape design. When placed where it can be easily seen from your interior living space, it can be enjoyed from the indoors as well. 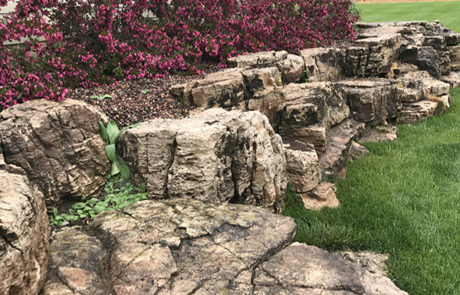 Stonework or hardscapes are created to give your landscape depth and dimension. 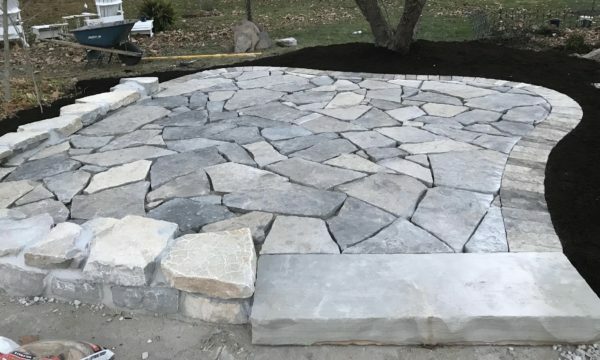 Whether your plans include a prop or accent in your existing landscape, creating a patio to extend your outdoor living, or installing a stone wall to give your lawn that added dimension, let Lawn Perfection Inc. ‘s designer come up with the perfect plan for you. 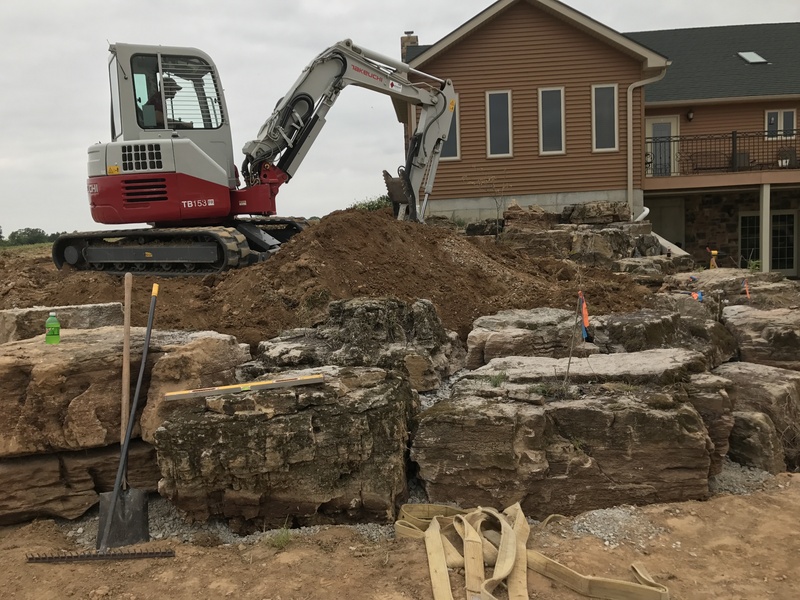 With our professional installers and state of the art equipment, we are able to perform tasks that other companies may not be able to do, including stone stairways, dry creek beds, meandering pathways, retaining walls, sidewalks, patios and paver driveways. 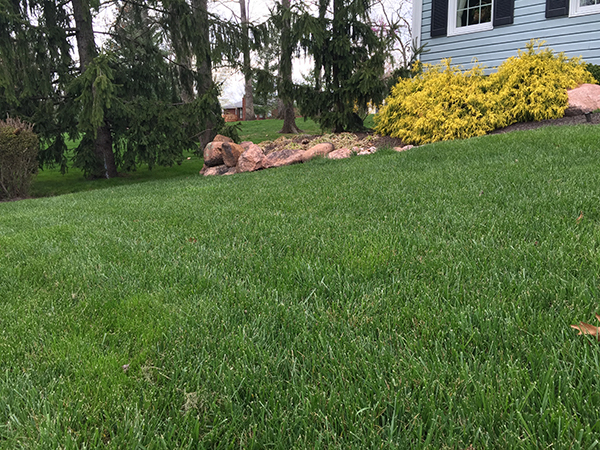 Do you have an area in your lawn that does not drain well? 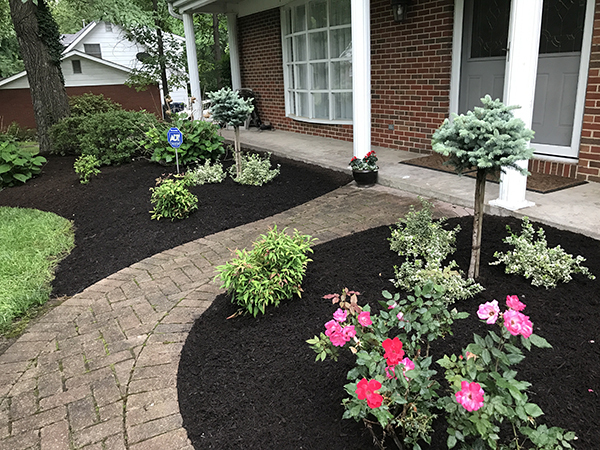 Let Lawn Perfection Inc. turn your problem area into an asset! 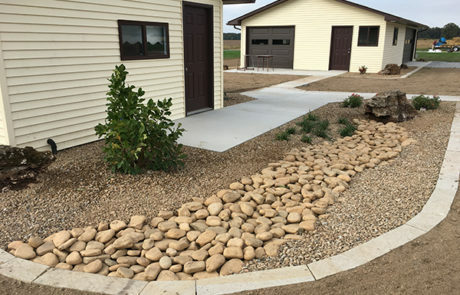 We can install a new drainage system that will improve the area to make it usable lawn space or, if you prefer, install a dry creek bed that handles water with ease and makes your landscape more attractive. 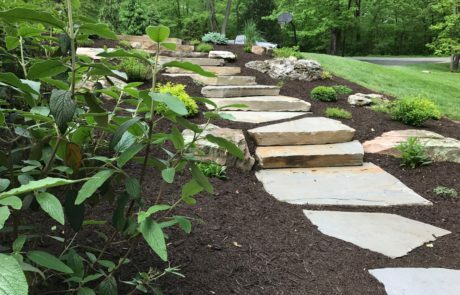 Patios and walks no longer consist of bland expanses of concrete or an unimaginative rectangle tacked onto the back of a house. Are designs are elaborate and we have many materials to choose from. 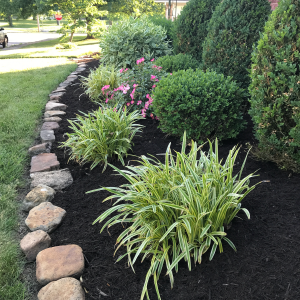 There’s no better way to get a glimpse at how you can transform your landscape than giving Lawn Perfection Inc. a call today. 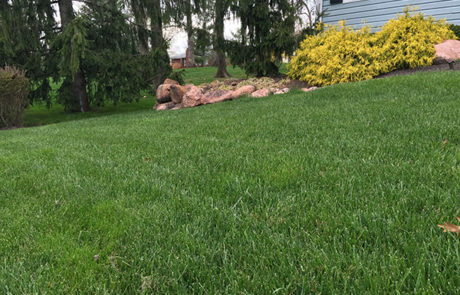 Do you have an area in your lawn that does not drain well? 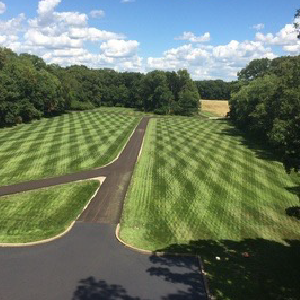 Let Lawn Perfection, Inc. turn your problem area into an asset! 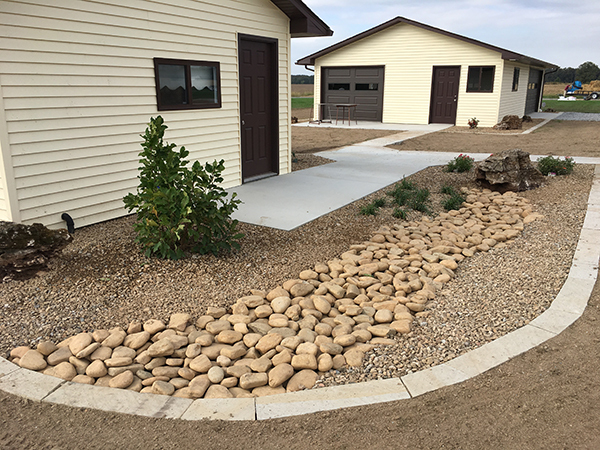 We can install a new drainage system that will improve the area to make it usable lawn space or, if you prefer, install a dry creek bed that handles water with ease and makes your landscape more attractive.